I am a scientist focused on disability research and health education. While investigating Native-American healing relative to disability, I started to reflect on why my professional purpose had so naturally evolved around disability. I thought about the many close friends with disabilities I’ve had throughout my life and realized how blessed I had been for their countless contributions that molded who I became professionally. They were my mentors; they showed me the heart and soul behind disability that seems so often lost by detached policymakers more concerned, for example, with a grant’s sample size; and, most importantly, they taught me that spirit is always whole and powerful regardless of physical limitations. One of these mentors was Don, a strong soul born with osteogenesis imperfecta, a disorder characterized by weak, easily breakable bones. Don and I became friends as toddlers and remained so until he died in the late 1990s. Throughout our long friendship, we developed a connection that even influenced each other’s vocation. Native Americans believe that such connections are how the world works; collectively, our mind-body-and-spirit interconnections create our reality at all levels. Unlike prevailing Western thought that views every individual as a distinct entity separated from each other and our environment, Native-American philosophy stresses an oneness in which we are all connected at some level to every person, animal, and plant. If you don’t honor our universal connection – as in polluting our environment - you will ultimately end up hurting yourself and everything that is a part of your greater oneness. This is why Native Americans traditionally considered the impact of their actions on the welfare of the seventh generation to come. Our interconnections are especially relevant when it comes to healing and disability. 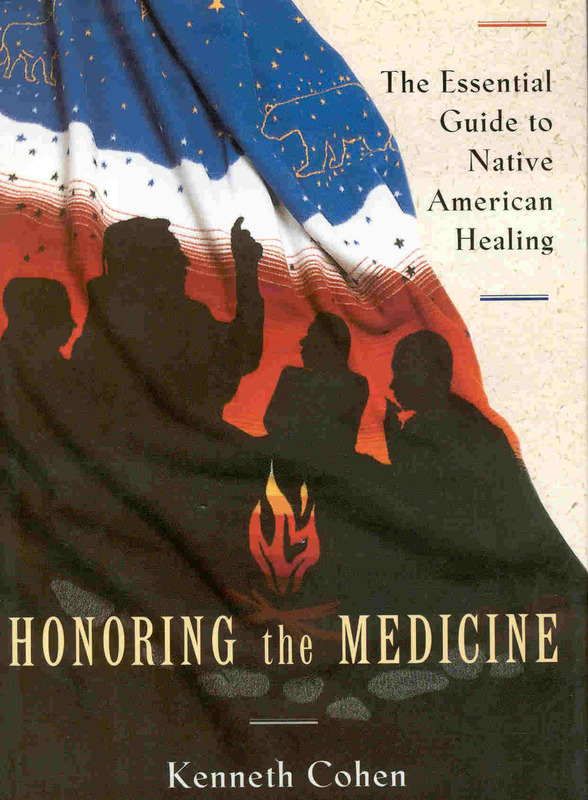 As discussed in Honoring the Medicine, (2003) by Ke nneth “Bear Hawk” Cohen, selected as the National MS Society’s Wellness Book of the Year, Native Americans believe that spiritual connections are paramount in healing, including the spiritual dynamics between the patient, healer, family, community, environment, and medicine within the context of the universal spirit. Unlike conventional medicine’s mechanistic orientation that attempts to fix unique body parts – whether they are organs, cells, or molecules - in patients separated from each other and the environment, Native Americans believe we are all holistically connected to each other, Mother Earth (i.e., nature), Father Sky, and all of life through the Creator (Iroquois), Great Spirit (Lakota), Great Mystery (Ojibway), or Maker of All Things Above (Crow). Essentially, the goal of Native-American healing is to establish a better spiritual equilibrium between the patient and his universe, which, in turn, translates into physical and mental health. 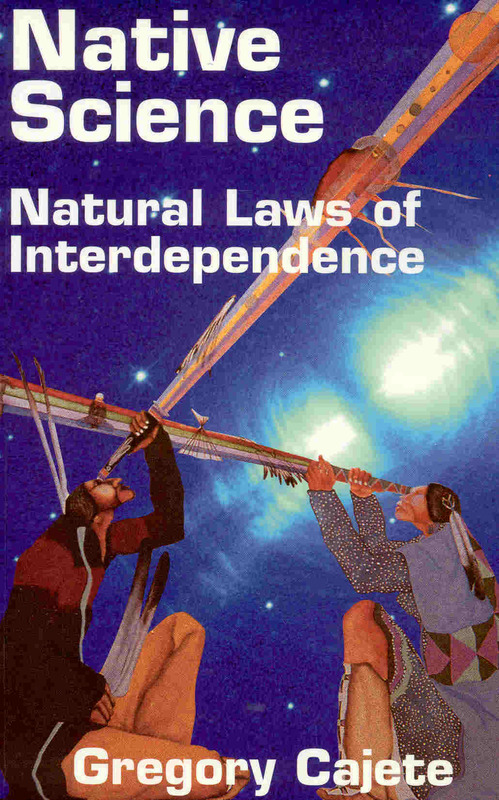 Author Gregory Cajete explains the important role of our ubiquitous connections using chaos theory in Native Science: Natural L aws of Interdependence (2000). This theory suggests, for example, that the air movement created by a butterfly’s wing flap in Africa can trigger a catalytic sequence of disturbances that eventually culminate in a Caribbean hurricane. Numerous movies, such as Jurassic Park and Butterfly Effect, have been based on this concept. The concept of interconnected wholeness is critical in understanding the Native-American view of physical disability. Native Americans honor and respect those with physical disabilities because they believe that a person weak in body is often blessed by the Creator as being especially strong in mind and spirit. By reducing our focus on the physical, which fosters a feeling of separation from the rest of humanity and nature, a greater sense of connection with the whole is created, the ultimate source of anyone’s power. As shown by his sense of humanity, humor, and awareness of life’s inherent richness even in the most challenging of circumstances, Don was always connected to this ultimate strength. Through our long friendship, he indirectly sensitized me to many disability issues, which later enabled me to assume professional positions with an in-depth appreciation of such issues not always evident in able-bodied policymakers. My sensitivity training came in many forms. For example, I would carry him up stairways of inaccessible public places by brute-force, lifting him under his arm pits. Long before the Americans with Disabilities Act heightened our accessibility consciousness, this made me aware of architectural barriers. In a simple example, Don would use his crutch as a cue-stick bridge when we shot pool. Seeing a life filled with such adaptations, big and small, helped me understand assistive-technology’s key, life-enhancing role. In addition, he often confided to me his heart-rending difficulties developing romantic relationships in a world that emphasizes transient physical attractiveness over the soul’s eternal perfection. He never got over his love as a young man of that one special woman who looked beyond his disability before she moved on. I was honored to be his confidant, and grateful for the insights it provided when I later managed projects concerning disability relationships or sexuality. Although he had compromised respiratory function, Don took singing lessons for years, reflecting, as in so many of his endeavors, our fundamental soul need for creative expression that exists in all, regardless of disability. In his later years, I would see him reach his goal to sing as a part of the church choir. Finally, he planted a now-germinating seed within me concerning the historical suppression of Native-American culture. Specifically, for several years before his death, Don’s passion, which we discussed extensively, was developing a screenplay about the 1862 Sioux uprising in Minnesota, which culminated in the largest mass hanging in our nation’s history. In addition to Don’s butterfly power being amplified throughout my career, my butterfly power influenced his vocation. Specifically, during our high-school senior year, Don was badly injured while working on the engine of his 1960 Chevy. Pulling into the garage driveway, his father accidentally clipped the Chevy’s rear end, knocking Don down. Don severely fractured his legs and hips. He spent two years in traction recovering, first in the hospital and then at home. After returning home, Don enrolled as a freshman at the college I was now attending as a sophomore. Still in traction, Don participated in his classes through intercom speakers, one located by his bed and the other in the classroom. One day, Professor Thor Lundquist (name changed), Don’s freshman chemistry teacher, dropped off the assignment that would change Don’s life. Students had a love-hate relationship with Lundquist. He gave out homework as if students had no other classes, but nevertheless, greatly motivated them to succeed. Lundquist’s modus operandi was to assign extraordinarily challenging problems. In Don’s case, Lundquist asked him to program an early Wang computing device for the “Arrhenius formula” for calculating chemical reaction rates. Chemistry students dependent on slide rules for these difficult calculations would be elated with such a program. Lundquist later confessed that he had been unable to program the formula himself, so he thought it would be a good learning experience for Don to give it a shot, although he had little expectation of success. In this case, my butterfly power came to the rescue. While we were drinking a few beers, Don, shaking his head, showed me Lundquist’s assignment. With a year of chemistry and advanced math under my belt combined with the beers’ inhibition-releasing capacity, I said “let’s do it and show the SOB.” We knocked it off in 10 minutes and went back to our beers. Lundquist was so amazed that this putatively insoluble problem had been solved that he introduced Don as a gifted programmer to the Wang Computer representative, and, as butterfly power gained momentum, Don started a programming career that lasted to his death. Although my math skills have faded away through the entropy of time, Don’s butterfly power continues to flourish through my professional activities. Aristotle stated that to move men to action you have to move their hearts. Don’s friendship put heart behind my activities, which, in turn, magnified their impact for so many with disabilities. It is true butterfly power, personally validating the important Native-American role of connection. Soon after Don’s death, I was driving after a rain storm on the flat, straight-as-an-arrow Interstate that cuts through the Salt Lake Flats. As I drove, horizon-to-horizon, luminescent double rainbows appeared before me, the road disappearing into their center. Through the rainbows, lightening bolts flashed over distant mountains, and thunder claps rolled forth to greet me. According to Native-American mythology, this was “Thunderbird,” who speaks in thunder and lightening and teaches us how to use its power to heal. The last time I had driven through the Flats had been with Don many years before. I thought of him, and, as I did, Thunderbird told me that Don, reunited with Source, was healed.